Dessert Pizza Pinwheels are the perfectly portable snack. 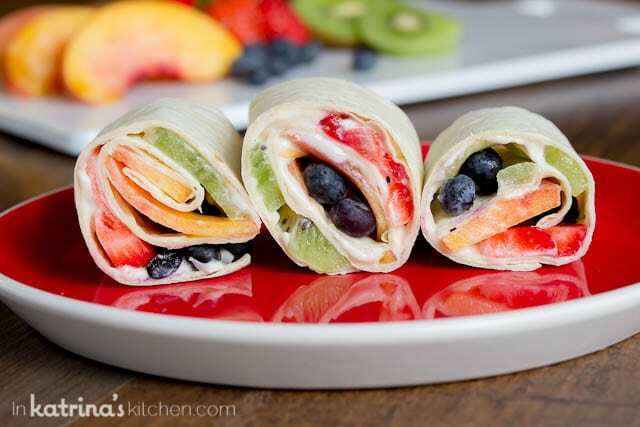 Filled with fresh fruit and sweet cream this is a treat worth reaching for! This month I’m teaming up with the American Dairy Association Mideast for some recipes featuring one of my favorite things in life- cheese! Not only will I be sharing these recipes but I’m also excited to announce that you can grab a bite of them at the BlogHer Food Conference on November 6-7. The hotel staff will be preparing my recipes and sharing them with all of the attendees so be sure to hop over and chat! The inspiration for these little bites came from my deep love for dessert pizza. As a teenager of the 90’s I was always happy to see fruit pizza make an appearance on the menu with its sugar cookie base, sweet cream frosting, and beautifully arranged fresh fruit. However my adult metabolism can’t enjoy 2 (or 3…let’s be honest) servings so I’ve reinvented the treat to a healthier option for our family. 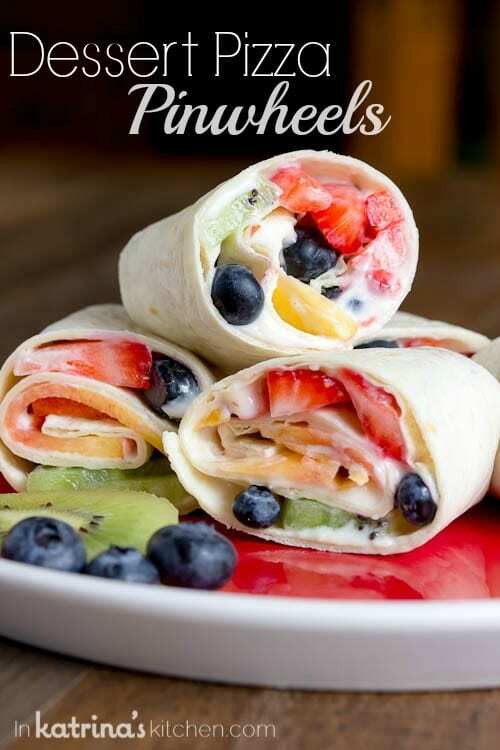 As a dessert pizza pinwheel these treats are completely portable for snacking as well! My kids love these in their lunchboxes, and I’ve been told they are the envy of all their classmates- that’s the true test. 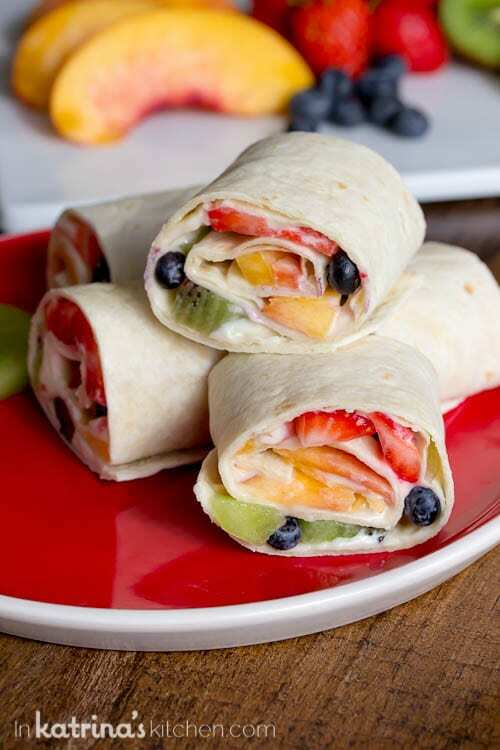 I’m always looking for varied ways to sneak more calcium into my children’s diet so this sweet cream cheese and fresh fruit is a winning combination in our family. Cheese may help children eat more fruits, vegetables and whole grains. If kids are picky eaters, try sprinkling cheese on veggies, pairing it with fruits like grapes or apples, or adding it to sandwiches and dips. Head over to Drink-Milk.com to grab this recipe. And if you’re going to BlogHer food conference you can sample this recipe on Nov. 6 from 4-4:30 p.m.at the American Dairy Association Mideast booth in the exhibition area. See you there!! Connect with the American Dairy Association Mideast: Website | Facebook | Pinterest | Twitter I’m happy to partner with the American Dairy Association Mideast to bring you dairy-filled treats all year long. As always, opinions expressed are my own. Thank you for supporting the brands that I work with, and for stopping back to let me know how your family loved my recipes as much as our family does! 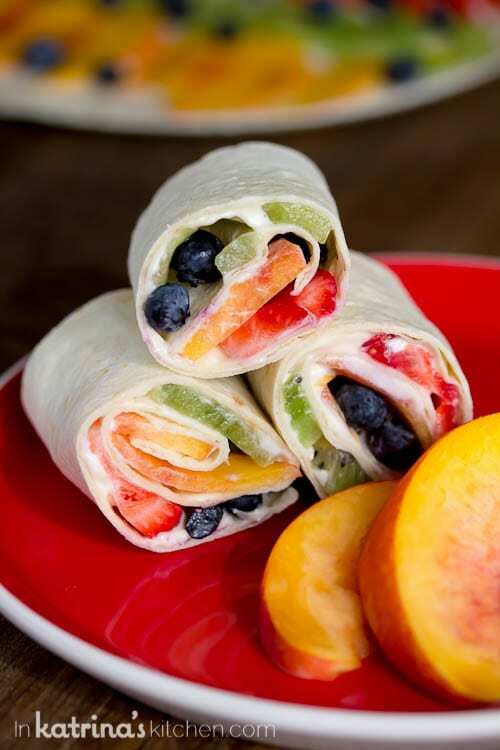 What a fun idea Katrina – love the idea of a handheld fruit pizza! Hooray, can’t wait to try these! Looking forward to seeing you in Chicago!!! So, I’m gonna shove all of these in my mouth now, k? I seriously LOVE this idea!!! My kids are going to love it too! Off to the grocery store! 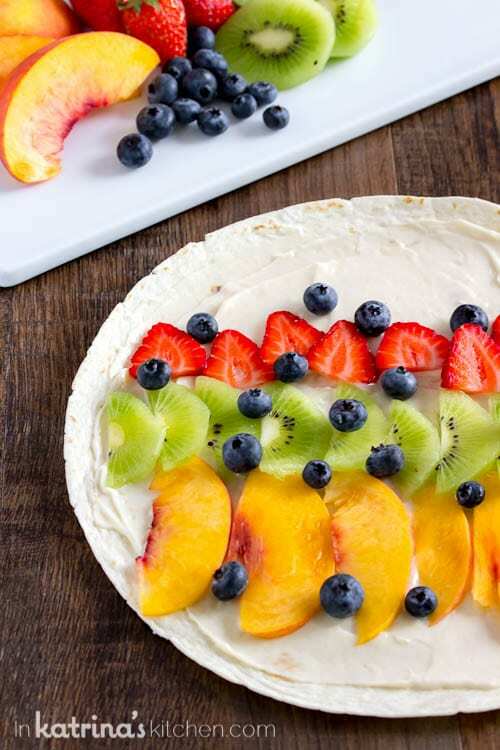 Love this twist to traditional dessert fruit pizza! How fun is this idea?!! Love it! I’m looking at this and thinking how much I wish I had this in my lunchbox growing up. It sure is a lot more fun than what we ate back in the day! Well, aren’t these just the cutest! I think they would make a great snack for me to bring to work! Please send me your dessert pizza pinwheels recipe. I can’t get to the link that has the actual recipe .